But which shoes are appropriate for his day? Dress shoes look great on his feet.?" 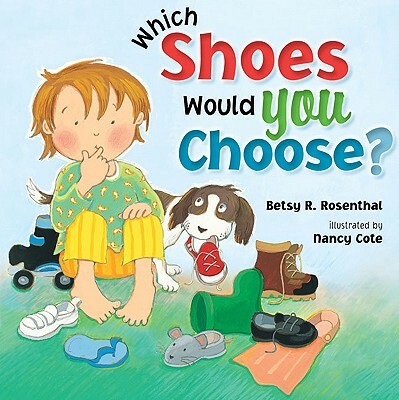 With a wonderful blend of vibrant artwork and playful text, this perfect read-aloud is written in a pageturning, question-and-answer format that is sure to tickle the toes of even the youngest readers. Betsy R. Rosenthal lives in Los Angeles, California. Nancy Cote lives in Somerset, Massachusetts.